Home » Politics » Will Prashant Kishor now handle Congress campaign in Uttarakhand too? Can Prashant Kishor save the day for Harish Rawat and bring Cong back to power in Uttarakhand? Prashant Kishor is currently handling the Congress's election campaigns in poll-bound Uttar Pradesh and Punjab. And now, the grand old party is likely to give him a similar assignment in Uttarakhand. The hill state is likely to go to the polls at the same time as these bigger states in 2017. Sources from the state unit of the Congress informed Catch that senior leaders are in favour of using Kishor's services in Uttarakhand. Kishor is being credited for creating a buzz around the party in Uttar Pradesh. Till recently, the Congress was not even considered to be in the race for UP, but Kishor's aggressive campaign has seen it witness a revival of sorts. Uttarakhand's politics is far less complex than UP's. The political arithmetic revolves around the regions of Garhwal and Kumaon, and the Brahmin-Thakur votes, making it easy for Kishor to handle the party's campaign. However, there are still issues that need to be addressed, in order to see the Congress retain power in the state. With elections only a few months away, the Harish Rawat-led government is battling anti-incumbency and charges of corruption, which are taking a toll on the party's popularity. A senior leader, on the condition of anonymity, claimed Kishor's intervention could help in creating a positive image for the party before the polls. The second major challenge before Kishor would be the growing dissidence within party ranks, which has not been resolved despite repeated interventions by the central leadership. Also, many senior leaders and prominent faces have rebelled against the party and joined the BJP, which could hurt the prospects of Congress candidates in constituencies these individuals once represented. In addition, the Garhwal region of the state is unhappy with Rawat for not giving enough representation to its people in the current government. As a result, the Chief Minister and state president Kishor Upadhyay have locked horns with each other, with latter publicly criticising the CM on multiple occasions. This has hurt the party's efforts to present a united front before the elections. Kishor would have to ensure that such sentiments don't go against the party in the run up to polls. Even the sympathy wave in favour of Rawat, especially after the rebellion earlier this year, is waning, and the Congress is no longer confident of sweeping the polls. On 30 March, nine Congress legislators rebelled and joined hands with the BJP, forcing the Central government to invoke Article 356. It was only after the Supreme Court's intervention that the Rawat government was restored in the state. Back then, there was sympathy for the Congress and Rawat, but the equation has changed over the past few months, with Rawat's popularity taking a beating. Sources close to Kishor declined to comment on the issue, and said they are not aware of these developments. Ambika Soni out, Kamal Nath in? Meanwhile, in another development related to the state, senior Congress leader Kamal Nath will soon replace Ambika Soni as the state in-charge. Soni had offered to quit as the Congress in-charge of Uttarakhand, in order to stay as the chief of the campaign committee in Punjab. Sources had informed Catch that it was Kishor who suggested the removal of Soni from her Punjab job, since she was also overseeing the election campaign in Uttarakhand, which goes to the polls at around the same time. Prashant Kishor needs a helping hand in UP. Will Priyanka oblige? 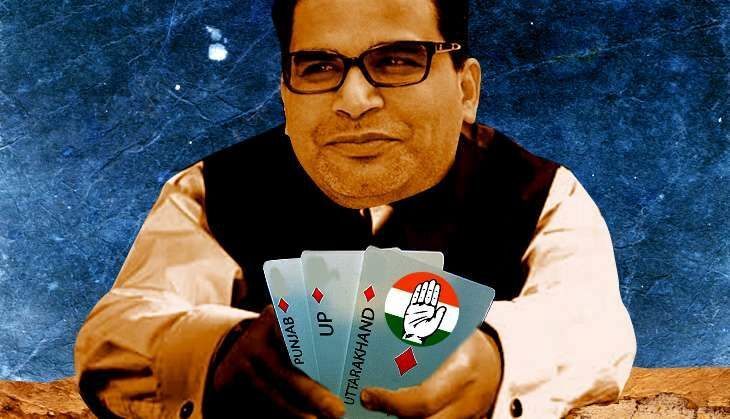 TWEET THIS After UP & Punjab, Congress wants poll strategist Prashant Kishor to handle its Uttarakhand campaign Can Prashant Kishor save the day for Harish Rawat and bring Cong back to power in Uttarakhand?